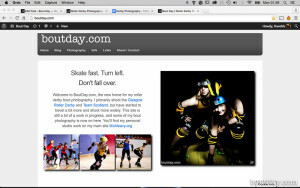 Last year, while I was in Dallas shooting the World Cup, there was some talk of writing something about Roller Derby photography. At that point I didn’t really have the time, but now that I’m loitering around airports a lot waiting for domestic flights, time isn’t as much of an issue. So here goes. 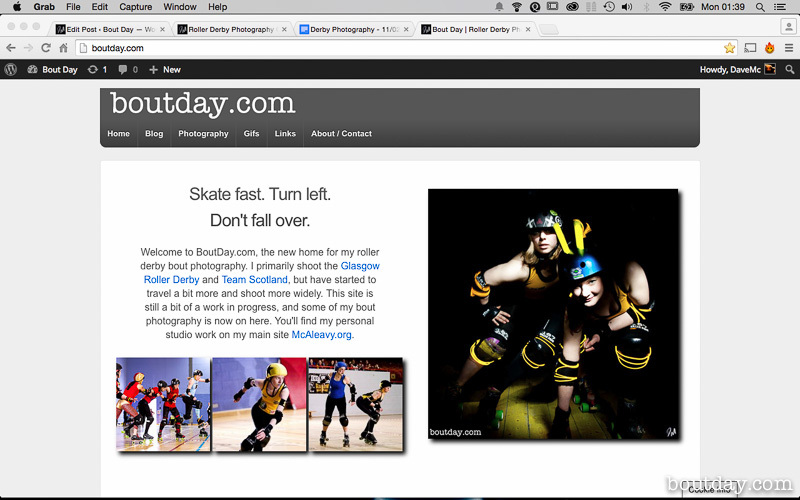 I got involved with Roller Derby in 2010 when my friends Sarah and Jen started skating for the Glasgow Roller Girls (as they were then), and asked me to come along and shoot some bouts. 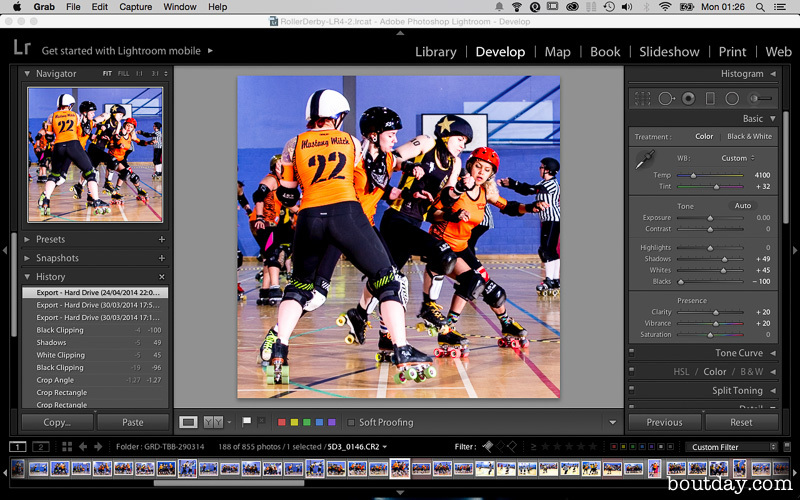 I had never photographed sport of any description before, but I gave it a go and I’ve been shooting Roller Derby ever since. 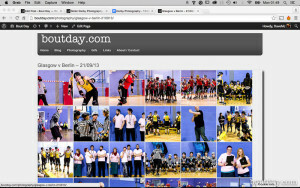 Now, 4 years, 3 World Cups, 160 bouts and 26,000 posted photographs later (more or less), I’m still doing it. So, equipment first. 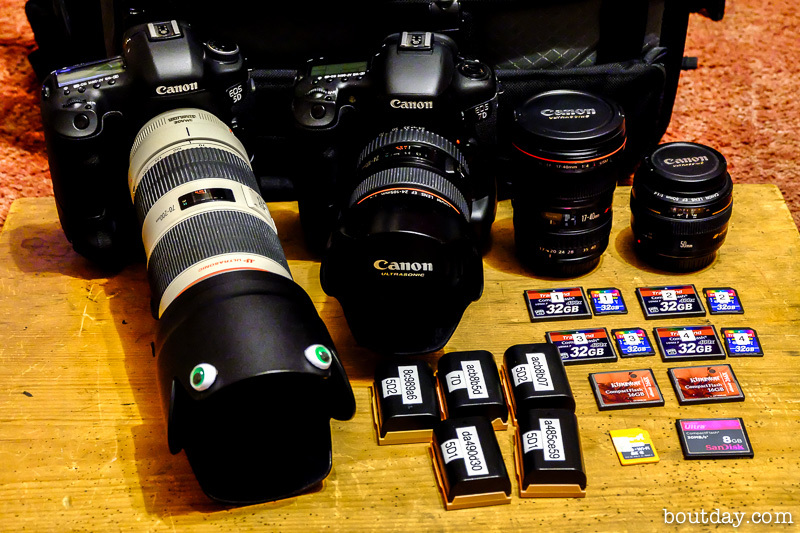 For the most part, camera equipment doesn’t really matter that much. You can take great photographs with a Box Brownie. But in sport photography it really does. Especially when working in poorly lit sports halls trying to get sharp shots of fast moving athletes. 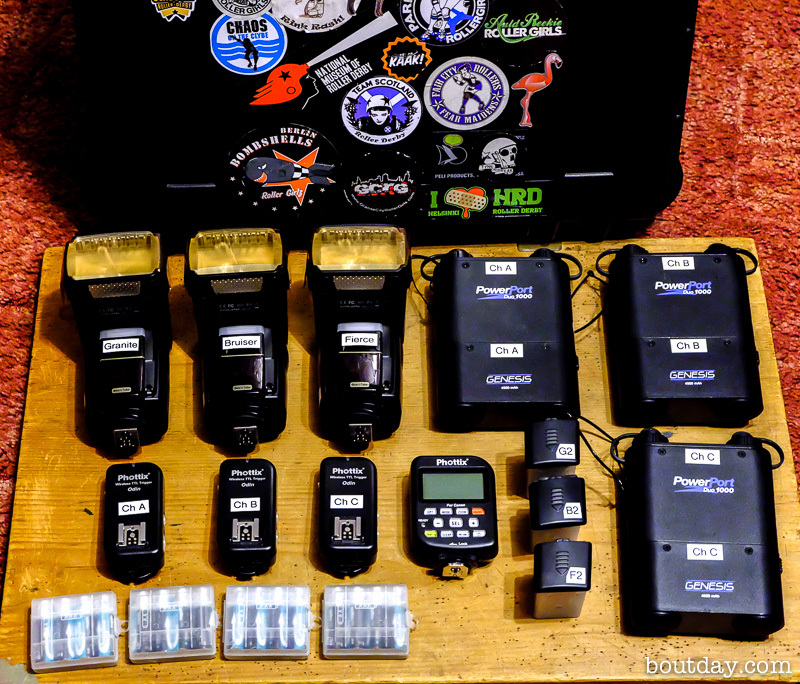 This is the current contents of my camera bag when it’s in Derby mode: 2 camera bodies with vertical grips, 4 lenses, 8 camera batteries (3 in the cameras), 12 memory cards and a belt system to carry it all around. My main lens is Lenszilla. A Canon 70-200 f/2.8L IS II USM to give him his full title. This is a staple of the Derby photography world, and I bought mine when I signed on to shoot the first World Cup in Toronto with Team Scotland in 2011. I don’t use him for anything else because he’s just too big and heavy, but he lets in a lot of light, tracks focus on moving subjects really well, and is sharp as a tack and tough as old boots. 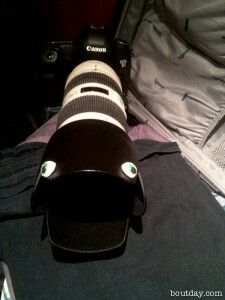 He’s usually attached to my Canon 5D Mk3. My Canon 7D with a wide zoom, usually the Canon 24-105 f/4, is on my other hip for general team shots and centre track stuff. You can certainly shoot with a lot less. You really don’t need 2 cameras and I know several photographers who use only one, but I’m paranoid about equipment failure and have accumulated this stuff over a number of years, so it’s a setup that works for me. 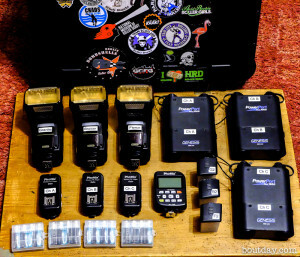 32 rechargeable AA batteries + a few sets of spares to power the gun electronics and the triggers. With this system in place I can pretty much ignore the ambient lighting and get consistent results, and they’re on very low power, so the players and refs generally don’t notice them. Granite sits on a stand at turn 2, Fierce is on a stand at turn 4 and Bruiser is clamped up somewhere near turn 1. All well above eye height. They all point more or less at the Jam Line and are fitted with orange CTO filters to match the ambient lighting. I use them in ETTL mode so they handle their own power levels for different skater distances, and the Phottix trigger let’s me control them remotely and turn them off when they are in my line of sight. It’s not a perfect system and can be confused by flickery hall lighting, but most of the time it’s close enough. My main objective is to document the event without getting in the way. Preferably without being seen. I know some leagues use high-vis vests for photographers, but if I’m doing my job properly the refs and skaters shouldn’t need to see me. I should be no more a hazard than a bench manager or an NSO. 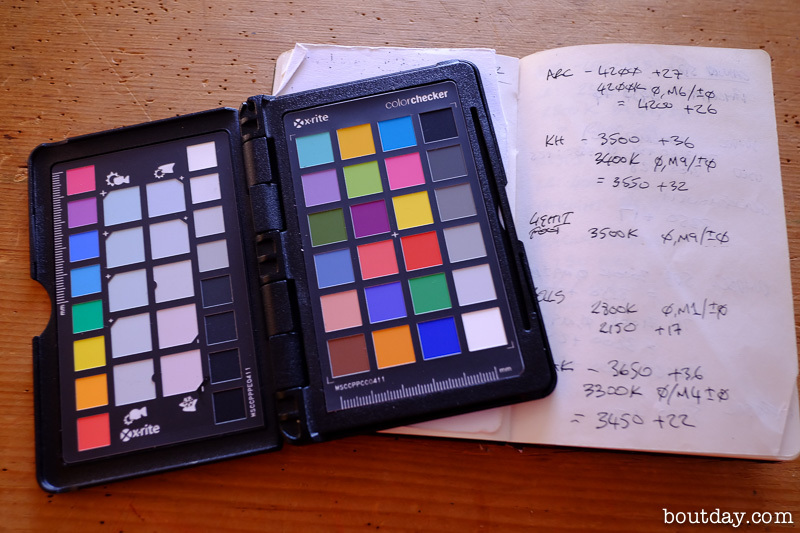 I shoot in RAW mode to allow me to compensate for variable hall lighting later, and on the Canon 5D3 I write the files to 2 memory cards at the same time. That way if I have a card failure I won’t lose a whole bout. Paranoid again. I set the camera colour balance manually for each hall – the Glasgow Caledonian Arc is 4200 Kelvin +6 magenta, more or less. Hall lights change colour as they warm up and each camera model has a slightly different colour response anyway. 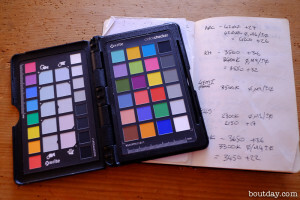 I calibrate initially with a Color Checker Passport. I shoot about 1000 frames per bout. 900 on the 5D3 and 100 on the 7D. I can usually fill a 32GB card for each one. This stuff creates a lot of data. Editing happens in Adobe Lightroom on my MacBook Pro, taking around 6 hours per bout, and is powered largely by green tea and rock music. 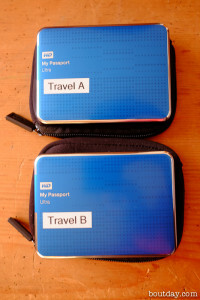 The RAW files are copied from the cards onto a mirrored pair of 2TB hard drives (I’m on my 2nd pair of those now) and imported into Lightroom – 30 minutes to an hour. I make basic colour balance and exposure adjustments to a typical image, and then paste those settings to all of the images in the set. I favour a neutral (perhaps slightly cold) image tone with fairly high contrast and the more saturated colours that come with that – 5 minutes. I then run through all of the images and assess them. Those that make the cut are tagged, cropped, and fine adjustments made to colour and exposure. Borderline images are tagged red and reassessed when I’m finished – about 4 hours for 1000 images. 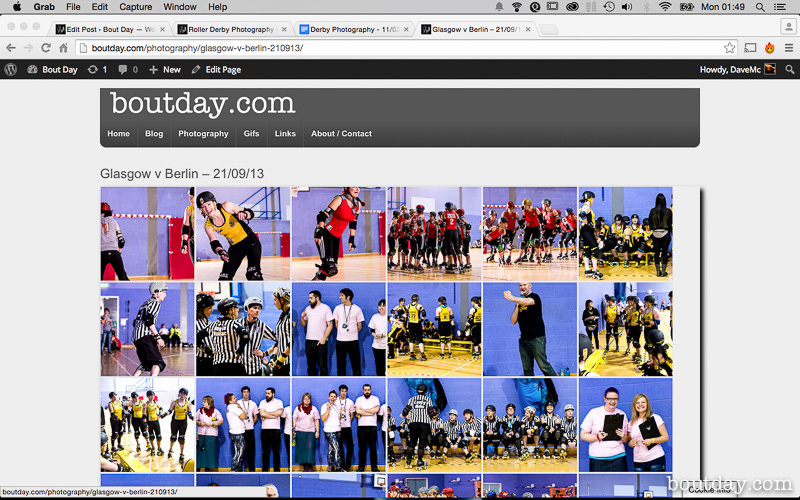 Once the initial selection is made I filter down to just those tagged shots, usually around 200, and check them again. I untag any weak, usually red tagged, images and export them as JPGs – 30 minutes. After one last check of the exported files they’re uploaded. Initially to Facebook and later to Google Plus and BoutDay.com – 30 minutes. Mostly derby photographers don’t need a lot of looking after. At single bouts and double headers in small halls, I just need a corner to stash my bags and occasionally a power socket to charge my phone. 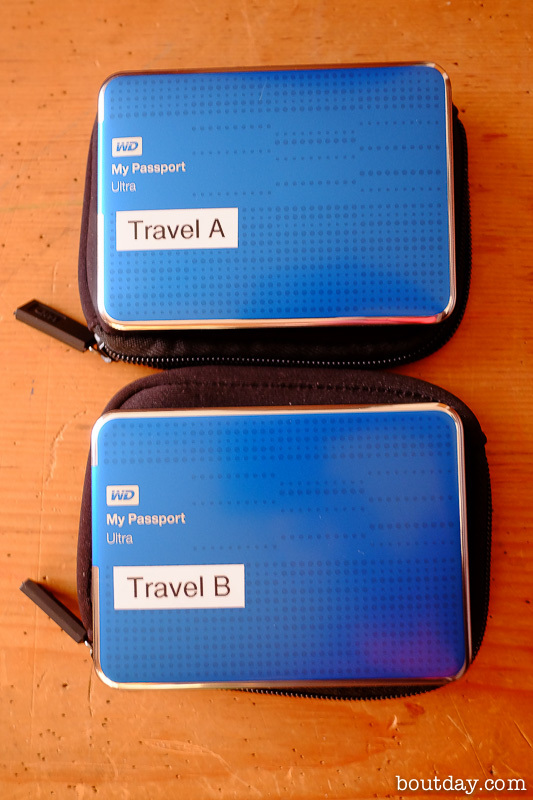 At tournaments and larger venues I really need somewhere secure (that the public can’t just wander into) to charge batteries and download full cards to my laptop. In Dallas there was a dedicated media room, but at other events I’ve had to hijack a corner of the NSO room or team area, which is only feasible if I’m allowed access. Otherwise I have to carry everything that I don’t want to turn my back on around with me all day. In general we’re a pretty dedicated bunch. Like most of Derby, it’s a reasonably expensive thing to do, is quite time consuming, and there’s absolutely no money in it. 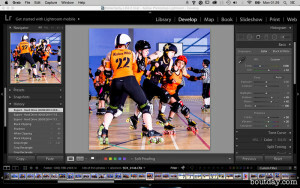 There’s just no market for Roller Derby photographs, so anyone who is doing this regularly is doing it for the love of the sport. Or like me, for the afterparties and the hugs.